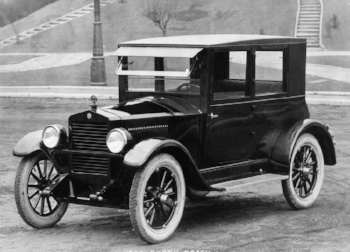 Within a few years, Hudson was building the best six-cylinder cars in the land. 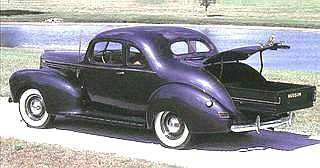 The Essex by Hudson was America’s first affordable closed roof sedan - sending sales through the roof. 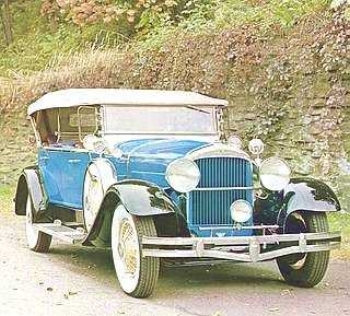 Hudson had become the #3 Selling carmaker in America in 1929. Then the Great Depression hit. The Essex was was probably the best affordable car on the market. It couldn't keep Hudson out of bankruptcy. 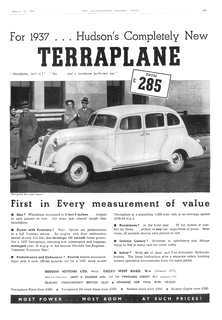 The new Hudson Terraplane was lightweight and powerful and, as its name implied, flew accross the earth. As such, famed flyer Emelia Earhart received one in exchange for promotional consideration. Gangster John Dillenger was said to prefer Terraplanes for their quick getaways. 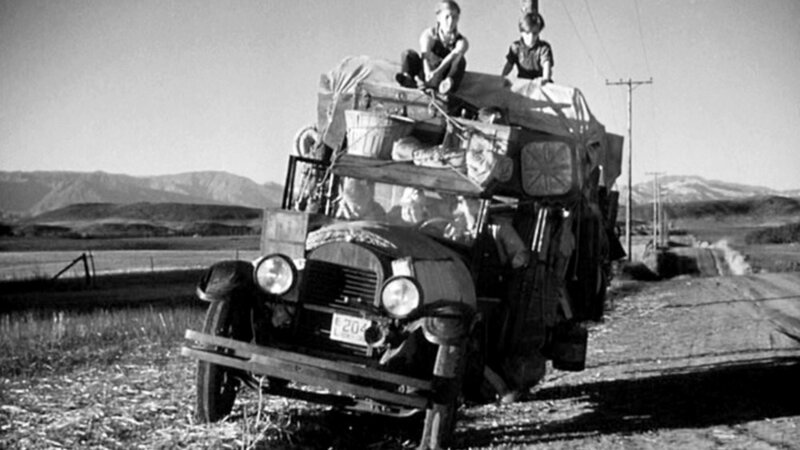 While Hudson didn't provide him with a promotional car, he still likely acquired his Terraplanes free of charge. Like the other Independents, Hudson offered innovations not found with the Big Three. Just before auto production shut down for war-time, Hudson produced some of the most stylish cars around. But several years after the war's conclusion, they had gotten a bit long in the tooth. That all changed in 1948 when Hudson introduced a revolutionary new car with unit-body construction, and a sunken floor plan. Called "Step-Downs," their lower center of gravity gave them sleek looks and superior handling. Three years later, the car was restyled and given a new name. 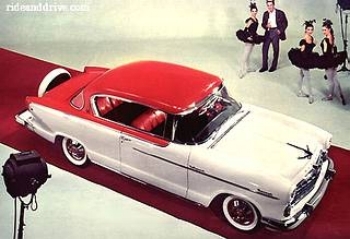 The Hudson Hornet also received what was at the time the biggest most powerful (145hp) six cylinder engine around. Hudson put its superior handling to good use with a factory racing program. Chief engineer, Vince Piggins, with the help of stockcar racing legends, Smokey Yunick and Marshall Teague, and using what was called “Twin-H Power,” managed to coax 210 fire breathing horsepower out of that old fashioned side-valve six. 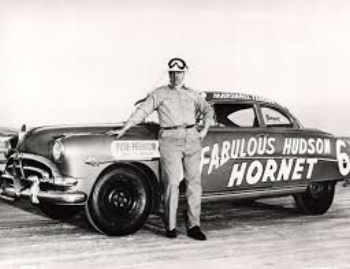 The result of such raw power combined with low center of gravity were the "Fabulous Hudson Hornets." They dominated NASCAR, winning 66 out of 108 NASCAR races from 1952-54. When Pixar Studios needed a cantankerous anthropomorphic former stock car legend for its 2006 movie, Cars, the Hudson Hornet was the only choice. Just like there was no other voice for the part of Doc Hudson but the gravelly grace of actor/racer, Paul Newman. Doc Hudson steals every scene he is in, and the other car characters in the movie seem glad for it. Car Guys are glad for it, too, because the legend of the Fabulous Hudson Hornets now live on for future generations to enjoy. In the early 1950s America's Independent carmakers had vertually no margin for error. 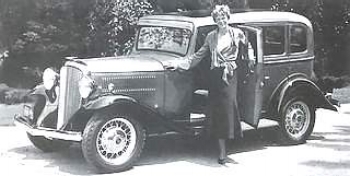 Hudson's CEO, A.E Barit, had just enough money to develop a modern OHV V8 engine for a redesigned Hornet, going toe to toe with Studebaker and the Big 3. Or, he could do an all-new compact car in the hopes of grabbing sales the Big 3 were not contesting. Regrettably, he chose the latter. The result was the 1953 Hudson Jet. The gangly-looking Jet turned out to be an error if there ever was one. Hudson lost its independence the following year. The only thing good about the Jet was its chassis. It provided the foundation for a limited edition, Italian-built 2+2 coupe called the Italia. But with a combination of humble underpinnings with a price tag that was 20% more than a Cadillac Coupe DeVille, it is not surprising to anyone but A.E. Barit that the Italia could not save Hudson. 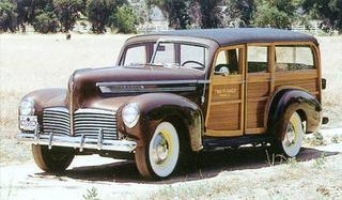 Before 1954 was out, Hudson had been acquired by a much better managed Independent, Nash Motors. The Hudson name lived on from 1955-57, but the cars were just Nashes with vaguely Hudsony looking grills. Hudson aficionados call them "The 5-6-7s." Everyone else called them Hashes.